We’re pleased to announce our partnership with Dether, a peer-to-peer mobile application that allows anyone to connect and trade with crypto buyers and sellers near them on the Dether map. The Dether app enables users to buy and sell ether for cash, exchange ether for a variety of ERC20 tokens, and exchange ERC20 tokens for ether. Through our partnership, both HAV and nUSD are available on the Dether app, and more currencies will continue to be added in the future. Please note that the ‘exchange’ function is not yet available for HAV or nUSD, but users can still currently transact with other individuals through the app. 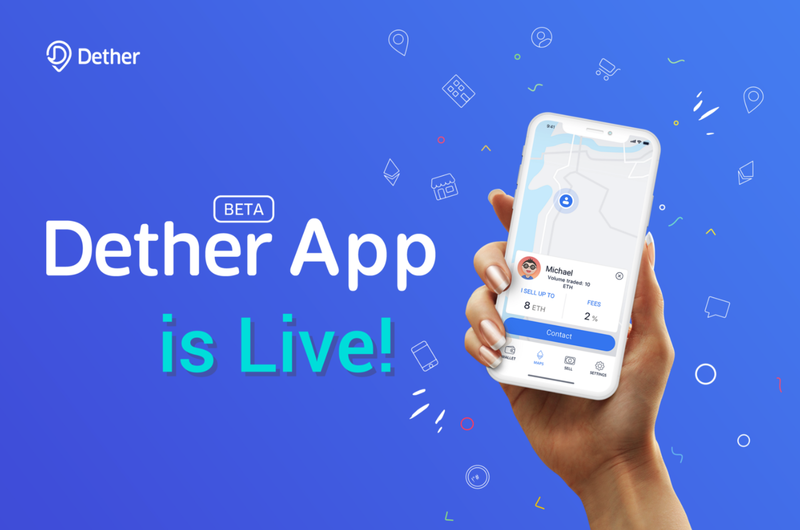 Dether recently launched the BETA version of their app. The process is simple: in minutes, users can create an account, import or create a wallet, choose an avatar, and find users on the map looking to buy or sell cryptocurrency. Users can also discuss trade conditions through encrypted Telegram messaging prior to meeting. You can download the Dether beta app here. For more information on Dether, you can join their Telegram or visit their website.